What happens if a mechanism that aims at improving coordination between individuals treats selected individuals unfairly? 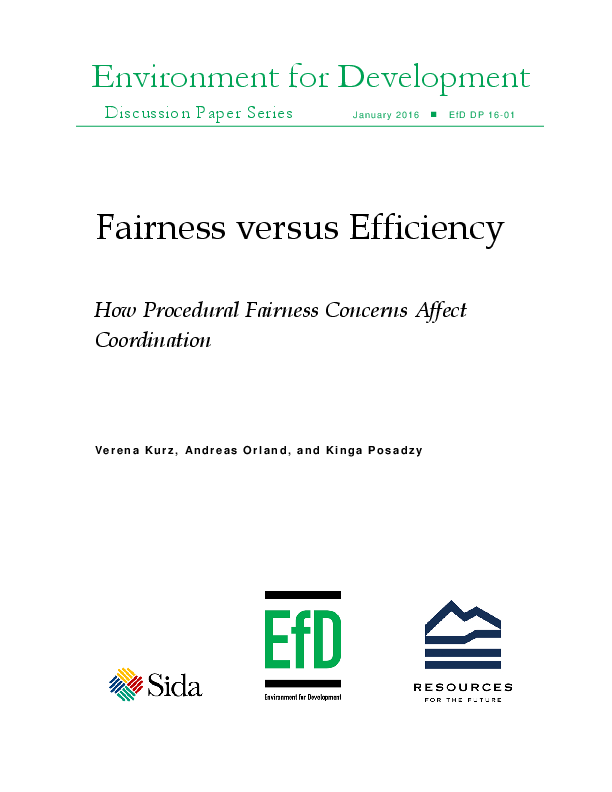 We investigate in a laboratory experiment whether procedural fairness concerns affect how well individuals are able to solve a coordination problem in a two-player Volunteer's Dilemma. Subjects receive external action recommendations that can help them avoid miscoordination if followed by both players. One of the players receives a disadvantageous recommendation to volunteer while the other player receives a recommendation not to volunteer that gives her a payoff advantage if both players follow the recommendations they have received. We manipulate the fairness of the recommendation procedure by varying the probabilities of receiving a disadvantageous recommendation between players. 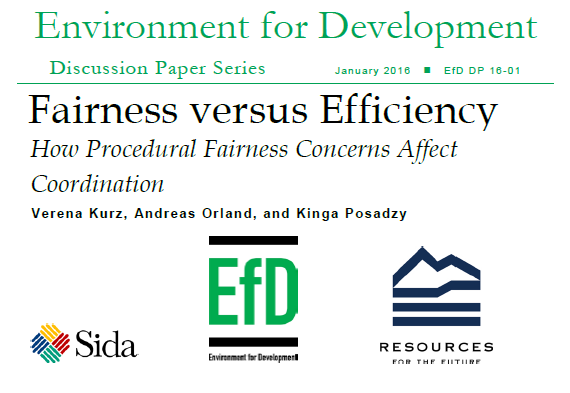 We find that the recommendations improve overall efficiency regardless of their consequences for payoff division. However, there are behavioral asymmetries depending on the recommendation received by a player: advantageous recommendations are followed less frequently than disadvantageous recommendations in case of actions that guarantee a low payoff. While there is no difference in acceptance of different recommendation procedures, beliefs about others' actions are more pessimistic in the treatment with a procedure inducing unequal expected payoffs. Our data shows that beliefs about others’ behavior are correlated with one's own behavior; however this is the case only when following recommendations is a strategy that involves payoff-uncertainty.